Learn how to decorate cakes and sweet treats with basic buttercream techniques and six simple-to-pipe flowers that transform ordinary cakes into extraordinary results. 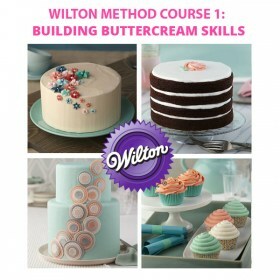 Your Certified Wilton Method Instructor will help you pipe classic buttercream decorating techniques to create modern and traditional cake designs. Selling Price : RM 550.00 including Student Guide/Plan, Starter Kit and Certificate. Pre-requisite: Nil. Suitable for beginners. Strictly no refunds on cancellations or non-attendance on the part of participants. However, a replacement participant will be considered provided he/she meets the entry level of the requirements and confirmation consent from the original participant is received by us at least two weeks prior to the commencement of the course/workshop. Seats will only be allocated upon receipt of full payment. 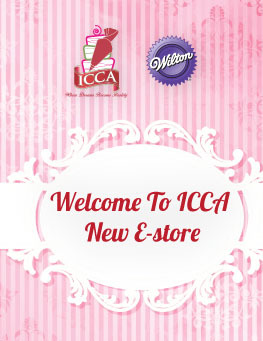 Please email or fax your bank-in slip to courses@iccacakedecor.com.